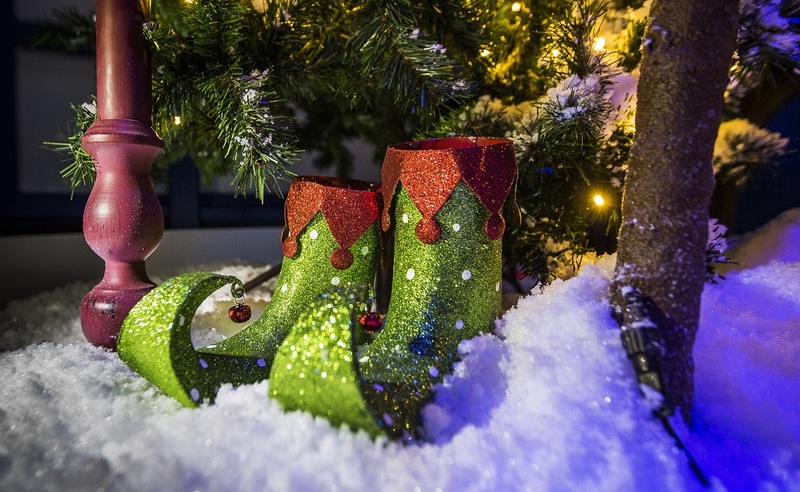 Word to the wise, you’ll need to ho, ho, hold on tight when you climb aboard this magical flight with Santa and his elves across Canada and on to the North Pole. After meeting some of Santa’s elves, Chestnut and Pinecone, you’ll join them as they take flight across Canada looking for their fellow elves. 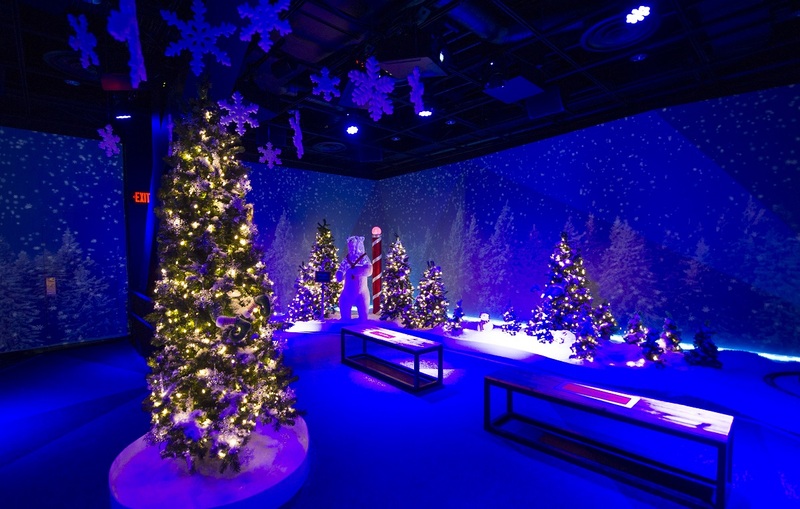 If you’re lucky, you may even get a sneak peek of Santa’s Workshop as you soar over the North Pole. More fun on the deck! 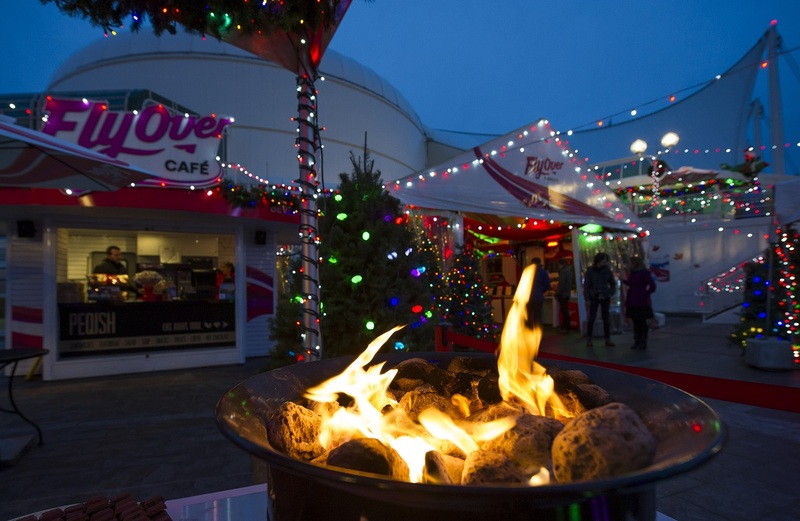 In addition to the special Christmas edition of the ride, there’s a festive outdoor sightseeing deck to enjoy Christmas lights, hot drinks, seasonal snacks (think smores! ), holiday melodies, and even the big man himself! Santa will be available on weekends only from 1-3pm until December 24th. Dress for the weather! The queueing area is partially exposed to the elements so dress accordingly as there may be some waiting. Entrance times are every 15-20 minutes. Children must be at least 40 inches tall to enter FlyOver Canada. Spend the day! Arrive ready to spend a good half day downtown. Explore the lights along the Canada Place promenade, take photos in front of the historic Woodwards Windows and then head to the Vancouver Christmas Market. Get a Holly Jolly Combo online only and save!